Montana is BIG! It takes an Alabama, a North Carolina and a New York to match one Montana. With a footprint of 147,040 square miles, it’s not surprising that some areas of our great state go unexplored, even by life-long residents. This past summer Comma-Q team members pointed themselves in a direction of their choice and spent four days on an all-expense-paid adventure, exploring that region in what we affectionately refer to as our MTQBaticals – a Comma-Q-supported short sabbatical anywhere in Montana. 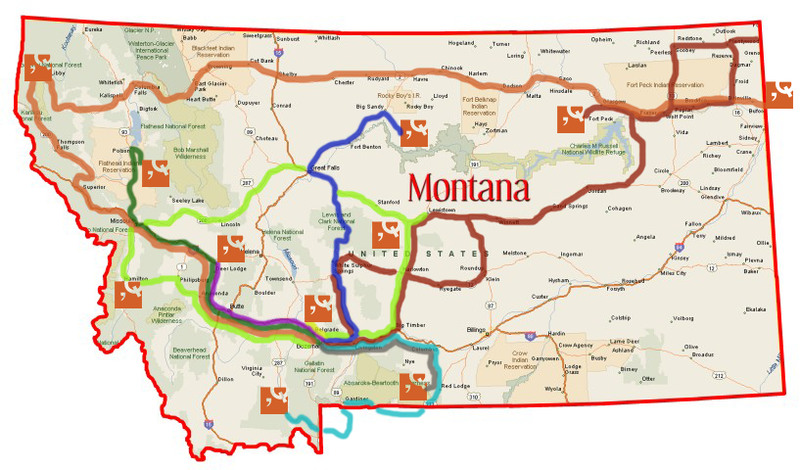 The adventures were intended to be fun, but they also had a serious objective: connect the people and places of Montana to the work we do at Comma-Q. Each adventure also came with a deliverable, a short verbal and graphic presentation. Over the next two weeks we will be sharing highlights from these thought-provoking excursions.